In pursuit of a workout regimen that works for me, I’ve had to apply my stubborn side. I’ve been playing Fitness Goldilocks. I used to think that all exercise was equal, so I feared and avoided it all equally. I never tried any of it. Stepping up to the fitness buffet felt very intimidating. When looking to get your sweat on, the array of options can be dizzying, and many won’t feel right for you. Some will be too hot, some too cold, and some just right – or at least, just tolerable enough. The trick is finding the right fit. I’ve been sampling many different flavors. Because, (at least in my world) they do NOT all fit. Not by a long shot. Some of the things I tried made me want to pull back, or worse – give up. It’s dangerous when I can’t find a way to look forward to my workout. When I dread it, I start to make excuses for why I can’t do it, why I should abbreviate it, why it’s not worth my time. I had to really persist to find the workouts that suit me. I couldn’t give up on Healthy & Strong just because the first (or second, or third) thing I tried felt like crap. When I was training for my 5k, I discovered that a little tweak can do the trick. Running on a school-style 1/4 mile track? Pass. The boredom sets in fast. Pass. For. Sure. Treadmills bring out the homicidal maniac in me. Running on a mile track through a park on a beautiful spring day? Holy crap! I found the sweet spot! I can actually enjoy a run! Who knew?? I don’t think I’ll ever really be a runner. The endurance side of it just isn’t my cup of tea. But, a nice run on a beautiful day is something I can actually look forward to. This realization felt so positive, I decided to sit down and consider what makes me enjoy (vs. dread) working out. 1 – I don’t like group classes that require rapid coordination. I would love to be the girl who can rock at Zumba, but I’m just not. I can’t get past my 2 left feet. I gave it a shot, and wound up spending half the class wishing the floor would open up and swallow me to hide me from my embarrassment. Motivational, huh? Yeah. Pass. 2 – I need to feel like I’m getting a good workout. If my heart isn’t pounding and I’m not sweating, I don’t feel like I’m using my time effectively. I tried a barre class, and I have no doubt that it’s a truly strengthening regimen. I definitely felt the burn, but there was no cardio involved. It felt like less than I like to push. So, pass again. 3 – Cardio machines sap me of my will to live. Especially if they have screens with lots of bells and whistles. I spend my time fixating on “WHY WON’T THOSE CALORIES BURN FASTER? !” It’s not great for my mental state. However, when I have to be at the gym for one of my kids’ sports or lessons, I’ll jump on a machine for a little while. Not a full pass, just not my workout of choice. 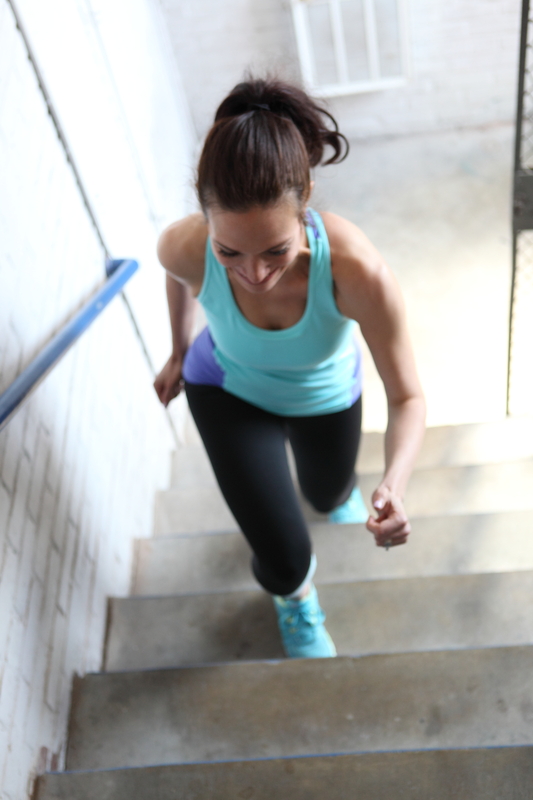 4 – I love me some interval training. Push me to my outer limits, but give me a second to catch my breath before I have to be pushed again. I think it’s why I loved Insanity so much. Yes, you have to do power jumps until you want to pass out, but the 30 seconds of breath that follow will revive you enough to do it again. 5 – Finally, I love deadlines. I really, really do. It was another part of Insanity that I appreciated. It gave me a schedule to follow, and an end date to work towards. It’s what got me through 5k training, too. Give me something to work towards, and I’ll push as hard as I can to tear it up at the finish line. Thus – my new adventure: The Tracy Anderson Method. I started today and will be pushing through it for the next 90 days. I’m sure I’ll be blogging about it in the months to come. To make things happen, you need to find the workout routine that will make you feel awesome about yourself. So, if you’ve tried running and it hurts your joints, or you’ve tried group exercise but you felt uncomfortable, those porridges are just too hot or too cold for you. Keep sampling. There’s a method out there that will make you feel like a super hero. You just have to find it.